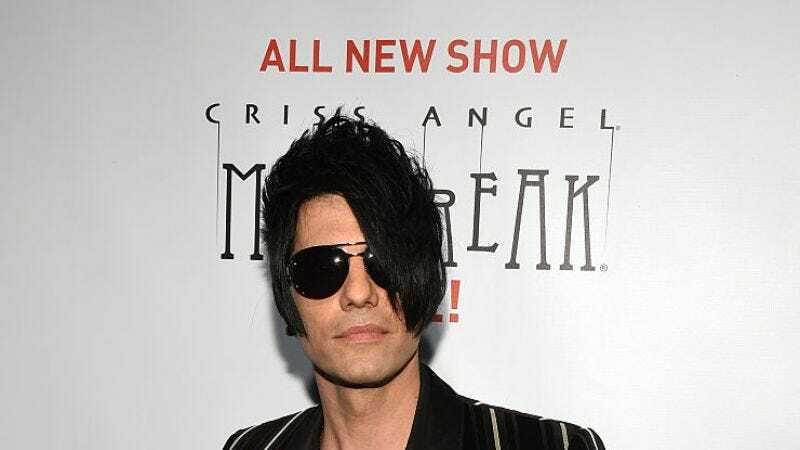 TMZ reports that Criss Angel was briefly hospitalized last night, after a trick went awry at one of his Mindfreak Live! shows in Las Vegas. Angel was attempting to do a straitjacket escape while suspended upside down by his feet, when he apparently passed out due to all the blood rushing to his head. (The words “spinning in vain for about two minutes” were used to describe the attempt.) Angel was taken to a Las Vegas ER, but quickly discharged himself after both his mind and body were found to be medically un-freaked.